Denmans Lane, Fontwell, West Sussex, BN18 0SU. Those of a certain generation will remember John Brookes the Garden Designer who appeared on the BBC’s Gardeners’ World programme a few years ago. I won’t even attempt to try and remember how many. 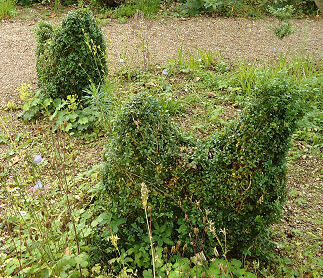 Denmans Garden was designed by John and is owned by John and Michael Neve. 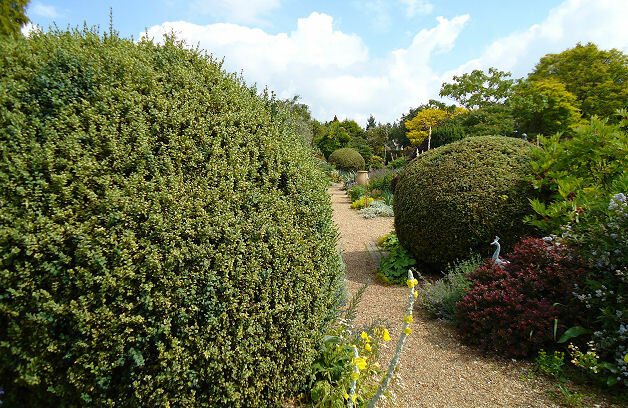 It is a plantsman’s garden where the flowers and textural shrubs and grasses take centre stage and I wonder why I have included it in a topiary listing. There are some items in box to help tie the themes together, so here it is. 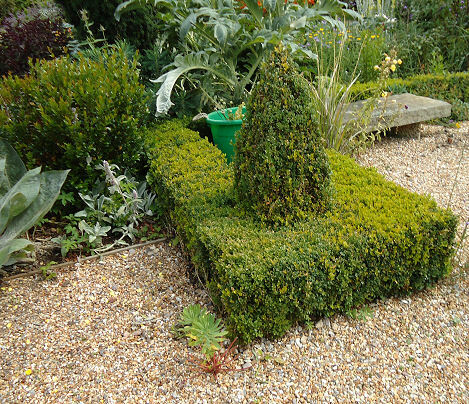 What topiary there is is largely in box and mainly confined to understated hedges popping out of the gravel. 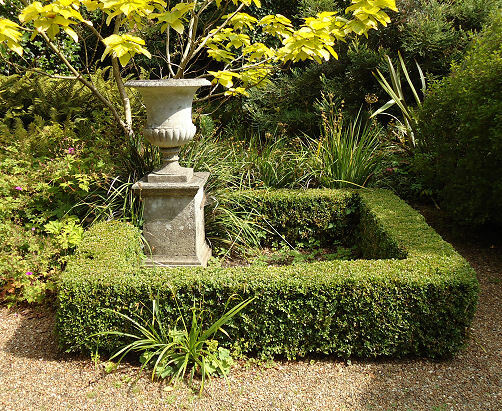 There is much use of statuary in the garden to lead the eye and it is often offset. 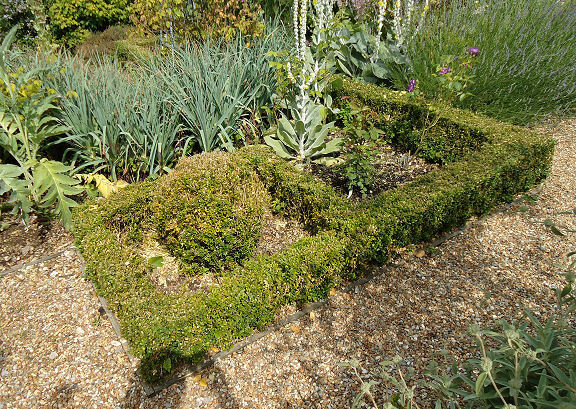 There is nothing entirely geometric or classical about this garden and it is in keeping with the sweeping and flowing nature of the planting. 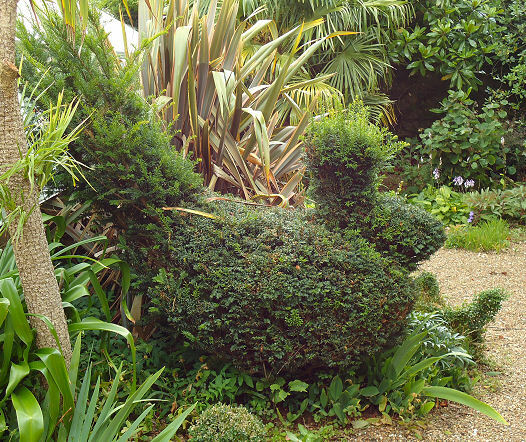 There are also a few items of understated humour in the garden like the yew and box chickens grazing around the gravel near the Clock House put there like they have full range of the garden that they own.